Prince Georges County Flea Market and Special Shops - Discover The Market in Camp Springs, MD - A mini-mall , flea market prices. 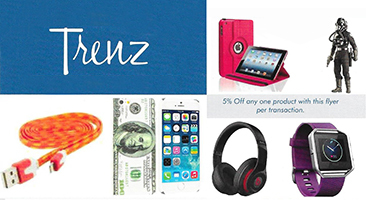 Large variety of specialty shops, custom made fashions, antiques, furniture, custom drapery, designer choir robes, DVDs, collectibles, custom framing, puzzles and jewelry. Convenience, shopping, free parking, bus tours welcome - best, good, local, sale, top - Clinton, Prince Georges County, Upper Marlboro, Ft. Washington, Suitland, Forestville, Washington, DC, Alexandria, Springfield, VA, Waldorf, Maryland, Brandywine, nationwide, USA, 20735, 20747, 20748, 20774, 20785. 20782. Hey, check this out! Are you interested in great hair, clothing, art, home decorating, music, antiques, gifts, hobbies, food, jewelry or hard-to-find items? All in one building over 40 entrepreneurs have organized to provide their talents and products. Come to get your hair styled and find the accessories to match your wardrobe. Maybe even a brand new custom-made wardrobe. Perhaps even one with Afro-centric flair -- right down to the shoes. At The Market even the jewelry can be custom-made to your liking. Once you “cure your ailments” in the herbal store, you might be ready for lunch. They’ve got food too, and they didn’t skip dessert. That means pastries, pies, ice cream, and cakes. And they didn’t forget the coffee. Once you’ve improved yourself, you might shop for kids’ clothing or shop for the home. Custom window treatments, custom framing, African and Egyptian art, novelty items and antiques are only a small sampling of items that have passed through these doors. Stock is changing all the time, so this might have to be a weekly trip. You could even come for art or hair braiding classes. Once you and your home are transformed, you’ll probably want to show it all off. Why not with a party? Music, scented candles, gowns, balloons and invitations can be found here. And parties might lead to... weddings. They can be planned here too. Silk flowers, wedding invitations, lingerie, even the bridal purse. So much to do, so little time. Don't waste it; let the specialists help. The Specialty Shops are open Tuesday through Sunday, while the Flea Market vendors are only available Thursday through Sunday*. So don't put it off. 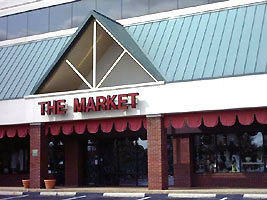 Plan a trip to discover The Market, whether you are in Prince Georges or Charles County MD or any of the following communities: Camp Springs, Fort Meade, Upper Marlboro, Brandywine, Fort Washington, Greenbelt, Beltsville, Clinton, College Park, Laurel, Hyattsville, Landover, Bowie, Glenn Dale, Mitchellville, Cheverly or Crofton; Bel Alton, Benedict, Bennsville, Bryans Road, Bryantown, Dentsville, Hughesville, Indian, Head, Ironsides, La Plata, Mattawoman, Nanjemoy, Newburg, Pomfret, Pomonkey, Popes Creek, Port Tobacco, Saint Charles, Waldorf or White Plains. The Market is easy to find in Prince George’s County, right outside the Capital Beltway. Take route 495 exit 7a, Waldorf, South to the Allentown Road West exit in Camp Springs, Maryland. Get into the left lane immediately off the exit, and turn left onto Old Branch Avenue. The Market is located in the third building on the right; they have most of the left half of the first floor at Old Branch Crossing. Parking is FREE and tours are welcome. If you find you want to open your own store, like so many other people, check our current waiting list for availability by calling The Market's main office at (301) 449-5535 or Emailing: ShopTheMarket1@gmail.com. Don’t put it off. Come change your life for the better. *Stores are independently operated and hours may vary. Please check individual listings below for specific hours, additional hours, and appointments. Art gallery sells Fine Art, signed limited edition art, open edition art. Custom framing - art, diplomas, memorabilia, jerseys, masks. Art from many countries. 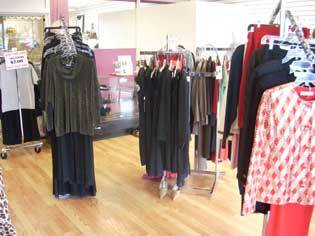 Fashion attire & accessories for all occasions.